Dreaming of a Home on the Beach….. Well Wake Up, your Opportunity has Arrived! This year round residential home on Plum Island is sun filled & spacious with vaulted ceilings thru out & skylights allowing the ocean breezes to cool the warm summer days. The layout gives the option of a first floor bedroom one of three, perfect for master or private guest space with bath close by. The large front deck and side bricked patio offers the additional outside living space you want in the warmer weather. Beautifully updated kitchen w/ stainless & quartz counter tops, wood grain porcelain tiles thru out living area, a laundry room & plenty of storage. Just steps to both the ocean & basin beaches. 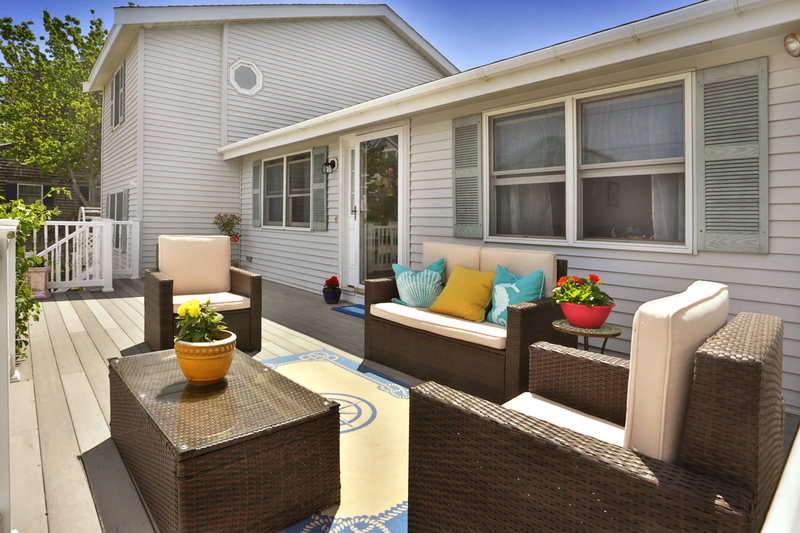 Enjoy all the comforts of a home while living at the beach on Plum Island. To kick off this new to market home if under agreement by July 1st we are offering a gift at closing of a $100.00 GC to the renowned Mad Martha’s just around the corner. Previous Love Where You Live…….